Over the years, there have been many weird and wonderful creatures reported in folklore. Many of these are tales told to curious children to prevent them venturing down a mine shaft, or out into the dark woods alone. Just the thought of going somewhere like that alone as a child is a scary thought, and it is likely because of these stories. If you have ever read any of Grimm’s fairytales, you will know that things are said to go bump in the night. They also go thud, squelch and all manner of other noises! There was a brand new edition of Grimm’s fairytales released in recent years which was actually the uncensored version. Definitely going to be picking that one up! The Boggart is a being most commonly found in the counties of Yorkshire and Lancashire. There are a few places named after Boggarts such as Boggart’s Clough and Boggart’s Hole in Lancashire. Boggarts are mischievous spirits who are most commonly blamed for the noises that go bump in the night! They have lots of fun rearranging the furniture, breaking pots and other items around the home. It’s thought that a home has a boggart if the little fellow has fun breaking plates or if the house is generally struck down with bad luck. It’s thought that in some tales the boggart would follow the family if they tried to outsmart it and move location. That is not going to rid you of your boggart problem! It’s likely to just hide in some unassuming furniture or another household item until you reach your new destination. Like spiders and fungus, these fellows like to hide out in dark spaces – perhaps an unused cupboard, the cupboard under the stairs, crawl space in a house, under the bed etc. It is thought that the boggarts were shapeshifters, lending to the origins of the ‘bogeyman’. Whereas a boggart would be blamed for misfortune and ill-will, the bogeyman would be more of a warning to children. This is just one example of how beings like these can be used to prevent bad behaviour and children poking around in potentially dangerous places, or getting stuck somewhere alone. It has been said that if you leave offerings out for them, they would not cause trouble. They are often attached to families, and they can be helpful within the home; unless they are insulted in some way. They have the ability to shapeshift and they can also appear in the form of animals. It is said that if you name a boggart – even in jest – it can actually make them more likely to stay exactly where they are and become even more ill-tempered. There is another possible explanation for Boggarts. It is said that the ghosts of people were also called ‘Boggart’, so this word may have been used to explain any strange phenomena in the past. Many authors choose to use the influence of a boggart in their stories. Although the stories may vary, the premise is the same: if you have a boggart, you have trouble! The stories of the changelings are one of the less pleasant sides to fairy lore. Some say that they are a result of good intentions, but it still boils down to the theft of a child by the fey. A changeling, in a nutshell, is the result of a human child (usually a baby) being taken by the fey and replaced with a substitute which isn’t quite right. The concept of a changeling is sometimes used in a wider metaphorical sense for describing someone who doesn’t quite fit in with their family or cultural roots. These stories are also told almost exclusively from the point of view of the emotional and upset parents. It could be that their child is simply in some way disfigured or that they have a learning difficulty preventing them from meeting milestones in usual development. For example, the child may not speak until it is much older, or it may not begin to show signs of walking until way past when it should. These children would be seen as being switched. It is also important to note that these stories are usually very old, so the parents would not have the same health checkups as we would have nowadays. There was no way of testing for medical problems in advance, and there was no way of scanning to see that the child was perceived as normal. I think we take the medical advancements now for granted a little. We can see our babies as they are growing, and we can guard them against illnesses with preventative vaccines and other measures that were not available when these stories began. A child with an illness would be considered ‘abnormal’. If your baby was ill and constantly cried and cried, it would be seen as a changeling. The same was likely true if the baby never cried. There are also reports of babies actually beginning to speak way ahead of their time, as well as being very delayed with speech. 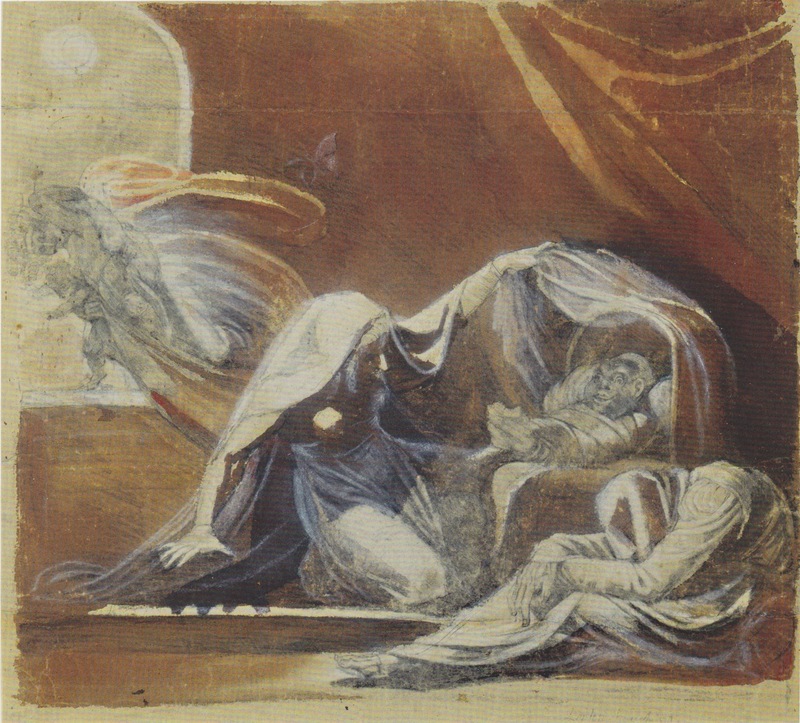 In the stories, the theft of the baby or child will usually take place at night when everyone is asleep. The faeries would always leave something in place of the child; sometimes it was a lump of wood, other times they would leave one of their own faery children. The child would then be brought up by the human parents who, because of a little fairy ‘glamour’ would not notice the switch. Although the child seemed ‘normal’, there would usually be tell-tale signs that the child was different. It was usually through physical deformities or often problems with learning or intelligence. Some people also believed that if the changeling was forced to reveal itself, the faeries would have to return the original child. So why did these switches happen? Some people believe it was for good. For example, the faeries would come and take the babies from parents who are careless or abusive. Through this, the abused children would then be given a better upbringing, but some still don’t believe the switch is justified. Other times the motives are sometimes much more selfish. Some stories say that the fey cannot bear healthy children of their own and so have to take human children as a replacement. Or it may just be that the fairy takes a liking to a certain human child, and they just take what they want. Some of the worst stories have been where the children are taken as servants or slaves. 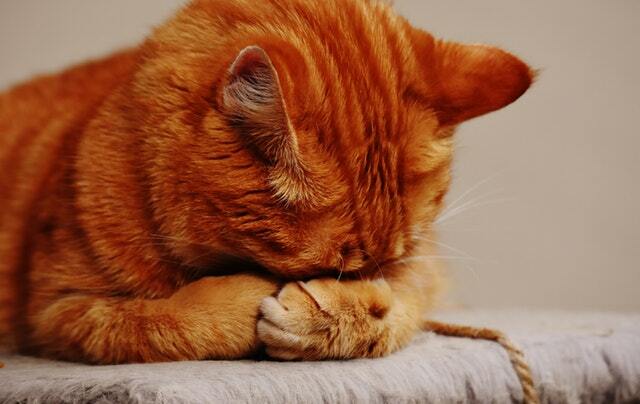 The ‘luckier’ victims might become favoured pets at the faery court. A Brownie is most commonly known in English and Scottish folklore as a small industrious fairy or hobgoblin which inhabits barns and houses. Although they are rarely seen by people, they are heard cleaning at night if they are feeling happy with where they are; but they have also been known to re-arrange rooms if unhappy. They have been known to tend gardens and bring gifts to those who keep a nice house. If you want a helpful brownie, now is the time to get cleaning and make it welcoming for them! As an offering, cream or bread and milk might be left for him, but other gifts would offend him. If someone were to make him a suit of clothes, he would put them on and vanish, never to return again. The bogle of Scotland and the boggart of Yorkshire were mischievous, hostile brownies which were very similar to poltergeists. The Irish version is known as pooka and the Welsh pwcca are also similar household spirits. A similar being to the brownie is the Puck. They were seen in medieval English folk lore as a malicious fairy or even a demon. The word itself in Old and Middle English meant ‘demon’. 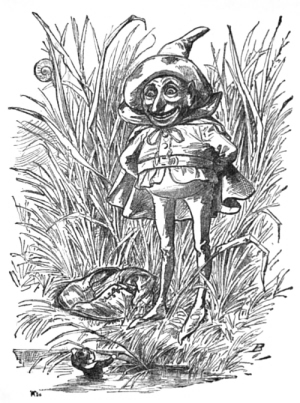 In Elizabethan lore, he was seen as a brownie-like fairy also known as Robin Goodfellow or Hobgoblin. He was also mentioned in Shakespeare’s Midsummer Night’s Dream as one of the leading characters who boasted of shapeshifting abilities, misleading travellers at night, tripping venerable old dames, frightening young girls and also spoiling milk. The Piskies are another helpful creature. They are known as piskies in Cornwall, but many other places may call them pixies. They were generally thought to be good-natured and kind, especially to the old or to the infirm. However, there are reports of being ‘piskie-led’ where you are led off the track and into some kind of misfortune when they were feeling mischevious! In folklore they are often described as appearing like little old men, being only a few inches tall. Their clothing choices are those of a natural origin, such as leaves, lichen and moss. Spriggans are not so friendly. They are more likely to punish humans with some rather nasty consequences. It is thought they send storms to blight the crops, and it is also said that they are responsible for switching human children to changelings. Most often found in old castles or barrows, they would be guarding treasure. Much like a dragon, but far more troublesome. As the countryside vanishes in the UK, it would be interesting to know where exactly these, and many other creatures would be going. Do they stay with the land, or end up in houses? I guess time will tell! Goblins are a very famous creature. They are described as evil and grotesque, and are attributed with various temperaments, appearances and abilities, depending on the story and country of the story’s origin. In some cases, they are not considered evil so much as annoying and somewhat related to the gnomes or brownies. They are usually seen or depicted as small beings, sometimes only a few inches tall. Some places describe them as around one or two feet, but again it all depends on the source of the story. They are also said to possess various magical abilities. They are also generally quite greedy and love money. The English name of goblin is said to come from the Old French gobelin or Medieval Latin gobelin, which may come from the Germanic kobold. Alternative spellings include gobblin, gobeline, gobling, goblyn. It is said that the more ‘traditional’ goblin has wild, messy hair and green skin. The appearance does vary from the country of origin however, as many cultures see them in different ways. Another version is the hobgoblin. These are thought to have dark, shaggy hair and they are well known for their practical jokes, most of which can be viewed as spiteful. The friendliest goblin is thought to be the Hogboon. Many who have come into contact with these have said that they don’t look or act like goblins at all. 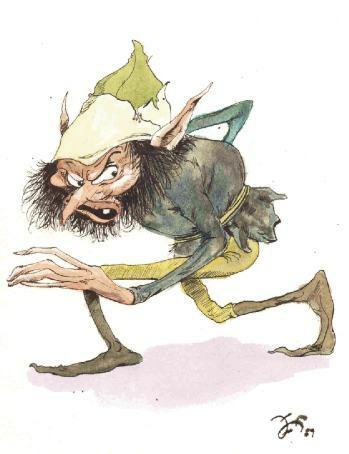 ‘Goblin’ is often used as a more general term to mean any small mischievous being. The Gap of Goeblin, which is a hole and underground tunnel in Croxteth under the Green. Goblin Combe, in North Somerset, UK. Goblin Valley State Park, Utah, US. Goblin Crescent, Bryndwr, Christchurch, NZ. Yester Castle (aka Goblin Hall) East Lothian, Scotland. Goblin Bay, Beausoleil Island, Ontario, Canada. Harrison High School, Harrison Goblin Gardens, Harrison, AR. Cowcaddens and Cowlairs, Glasgow, Scotland. (‘Cow’ is an old Scottish word for Goblin, whilst ‘cad’ means nasty. 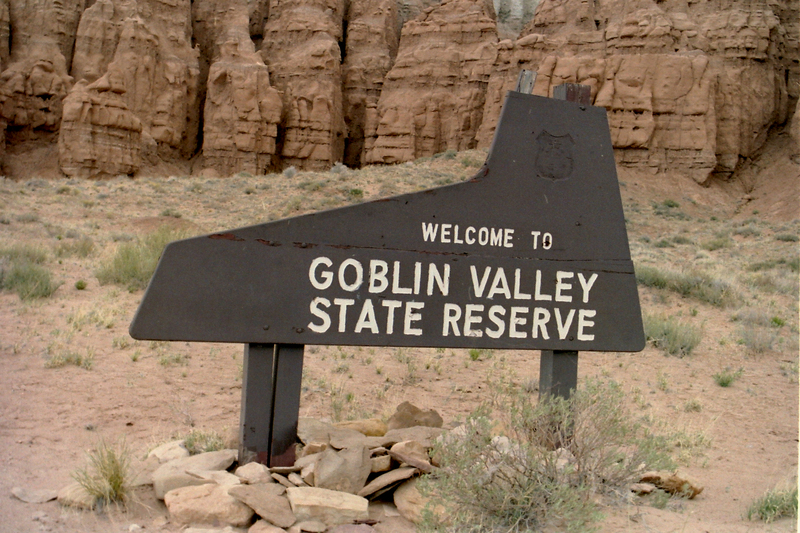 ‘Dens’ and ‘lairs’ also refers to the Goblin homes). Throughout the world, there has been a long history of mine spirits. In Cornwall, these were known as the Knockers. They frequented the tin mines that were the base of the local economy in the 18th and 19th Century. ‘Knocker’ is not the only name given to these beings. They were also known as: Knackers, Buccas and Spriggans to name just a few. They didn’t just haunt mines either; the Knockers were also thought to haunt wells and other natural features. According to various descriptions, the Knockers took the form of small, thin-limbed entities with large, hooked noses. They dwell in the deepest, darkest corners of the mines or natural features of the earth. They could sometimes be heard moving their lodes in the darkness. 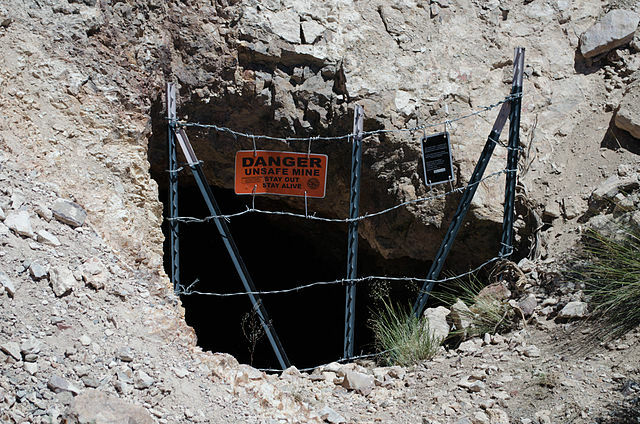 Any distant rock fall or creak would be amplified in the dark, claustrophobic depths of the mines. Just a thought of the supernatural could send a shiver down the spine of even the hardest worker. They generally kept to themselves and were thought to be benevolent, knocking at the best of the lodes in the mines and only showing themselves to the miners that they favoured. As with all the fae, they still need to be treated with respect. Many things could offend them including whistling, intentionally spying on their activity and making the sign of the cross. In order to appease them, small offerings were left in the more remote areas of the mines and failure to do this could cause bad luck. Strange tricks were usually played on those who offended them and sometimes a miner could find himself being led into the more dangerous parts of the mine. The origins of the Knockers are varied. Some people think they were the ghosts of miners working down there for penance. Another theory has said that they were the spirits of the souls who could not gain access to heaven or hell. This was also used as a much wider explanation for the occurrence of fae folk. Understandably, belief in the Knockers has died with the tin mining industry, although they are still thought to be down in the unworked tunnels away from human interactions.